I haven't produced a trip report for some time, but I thoroughly enjoyed this trip yesterday in Glen Doll. 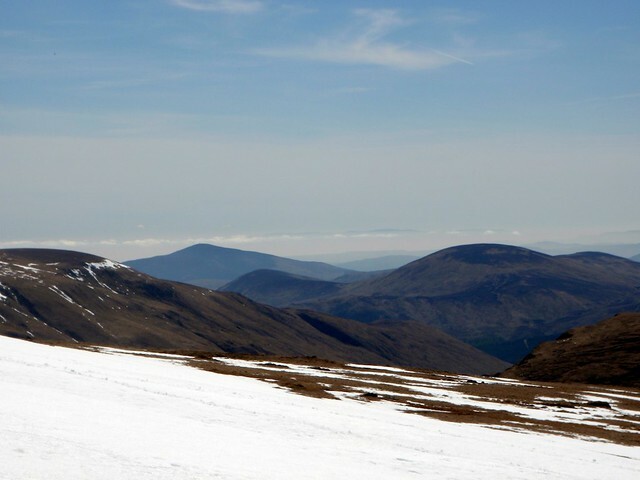 I've been on Jocks Road a few times, and it is an excellent way to approach these two Munros. Looking at the number of other routes chosen, it must be the quietest route. 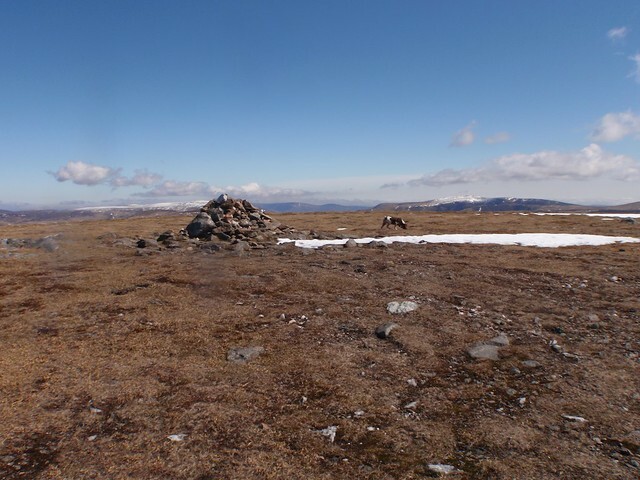 For the entire day yesterday, I only saw two walkers in the distance on the summit of Tom Buidhe. 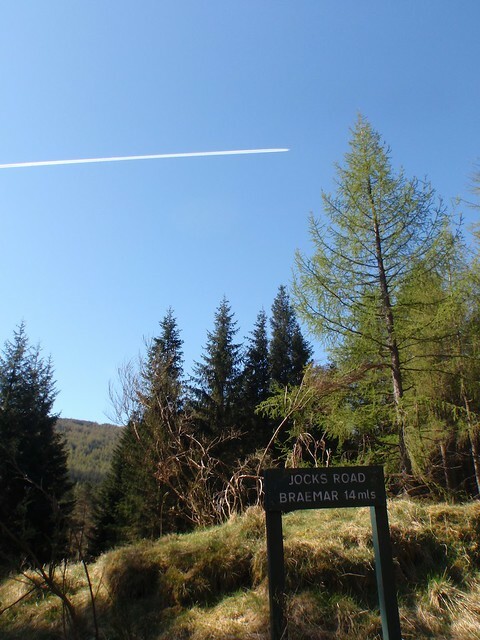 This was also the first time I've been on Jocks Road in decent weather, and by the way, Jocks Road is no more than a gravelled track as far as Davies Howff, then it is a rocky, boggy, muddy affair which does some great disappearing acts! 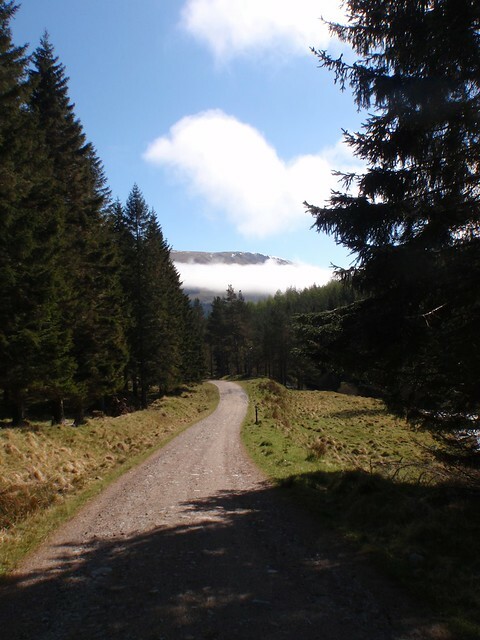 It is certainly not as defined as you might be led to believe by the OS map! 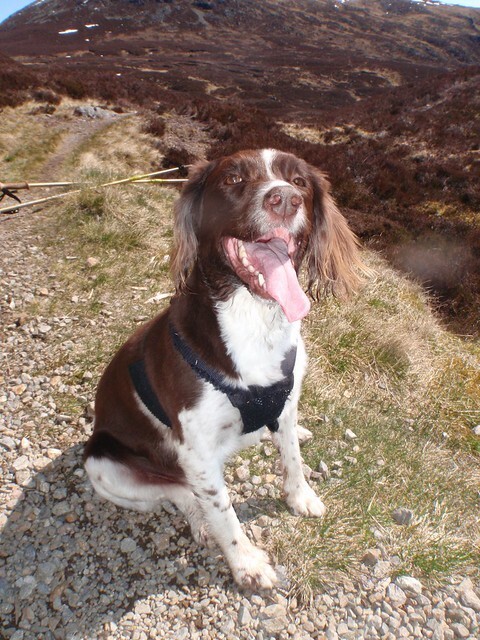 It's a fairly local glen, so me and the dog (Molly) arrived at a leisurely 1000 in cracking weather. 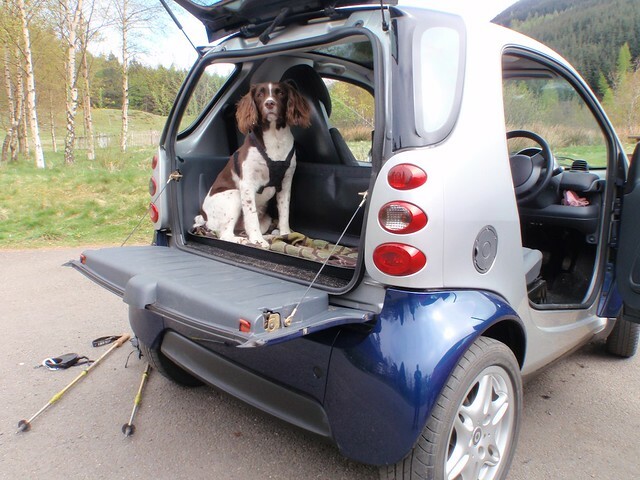 It's £2 to park at the Glen Doll carpark, but there's no mistaking it's a great facility. A nice inversion was developing behind as we headed up the Glen. The turn of to Jocks Road, and someone going on there holidays too! A nice walk through the woods follows. 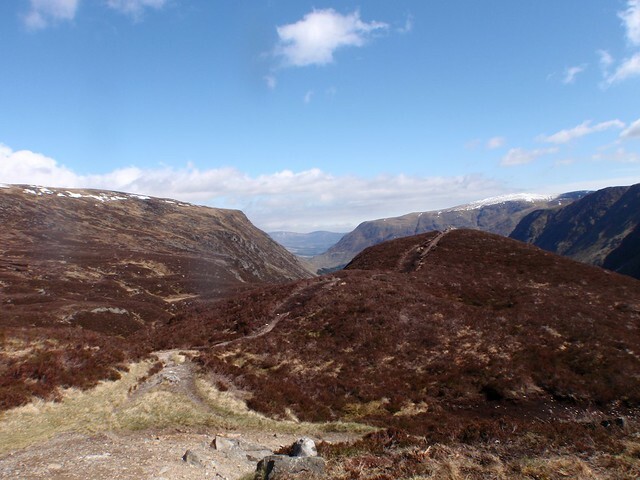 When you reach the end of the woods, you get a spectacular view of the corrie. 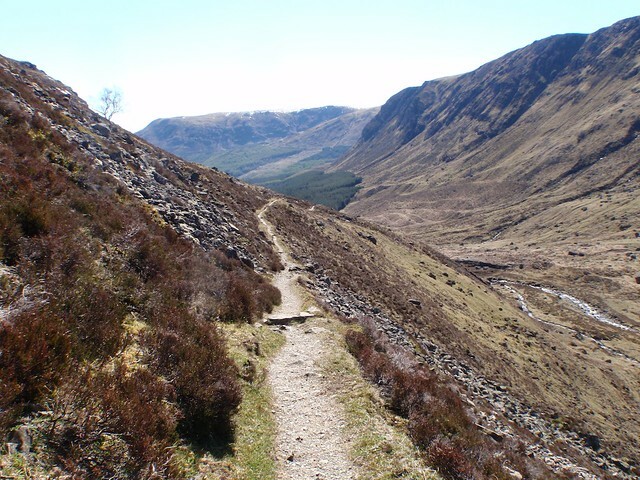 A bit like a smaller Corrie Fee, with Jock Road winding up the hillside. 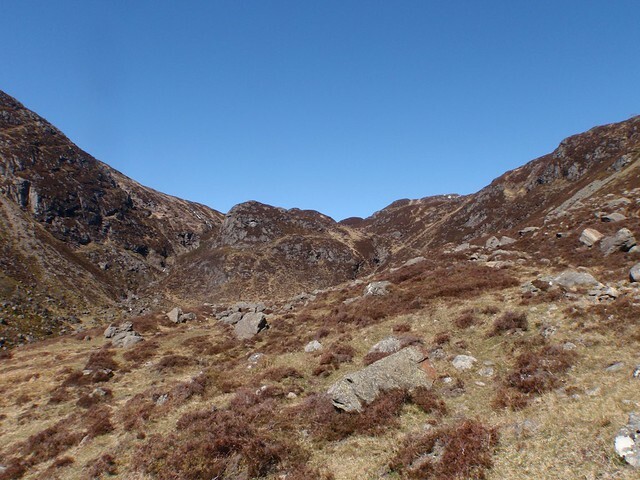 Approaching the head of the corrie. Looking back down Jocks Road. 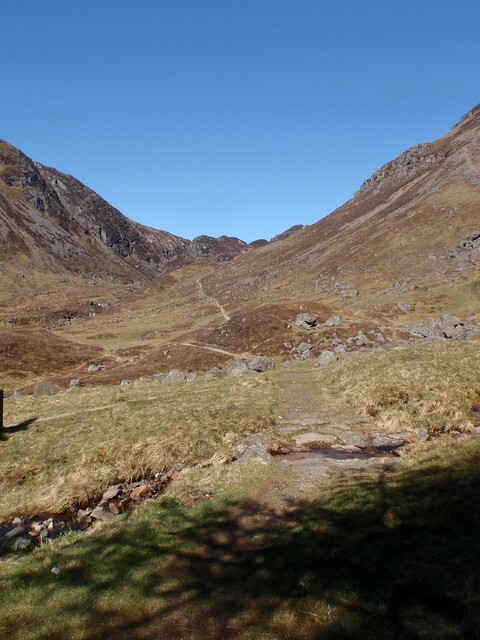 After reaching the top of the corrie, you enter a lovely 'basin' area. Today it was like a windless cauldron. Absolutely roasting! Then shortly after that, you come across Davies Howff, an emergency shelter. Somebody else was loving it! 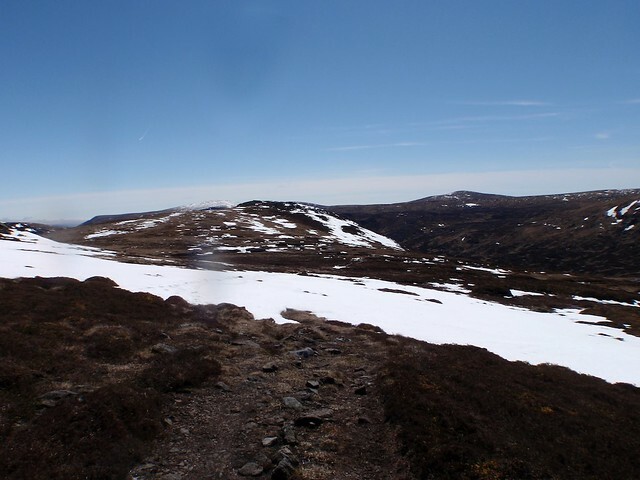 There was still a lot of snow lying up on the plateau, the wet sludgy type which made some of the progress a bit tiring. The views were stunning though in amazing weather. 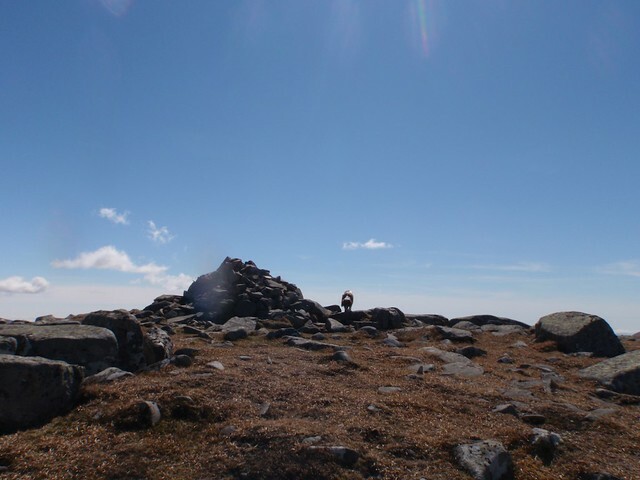 I think this was a distant Broad Cairn. 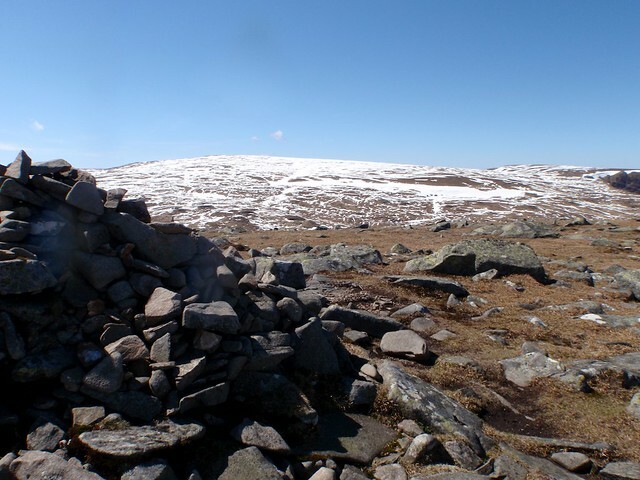 Cut off Jocks Road just after Crow Craigies and pulled up the dome of Tolmount to the cairn. I sat here for a while. I spotted a pair of large eagles overhead, which I suspect were possibly Sea Eagles as I'd seen photos of two just above Mayar a few weeks ago, which is only a couple of miles away. The RAF war also out in force enjoying the weather and pairs of jets passed at my level, then dived down into Glen Callater. 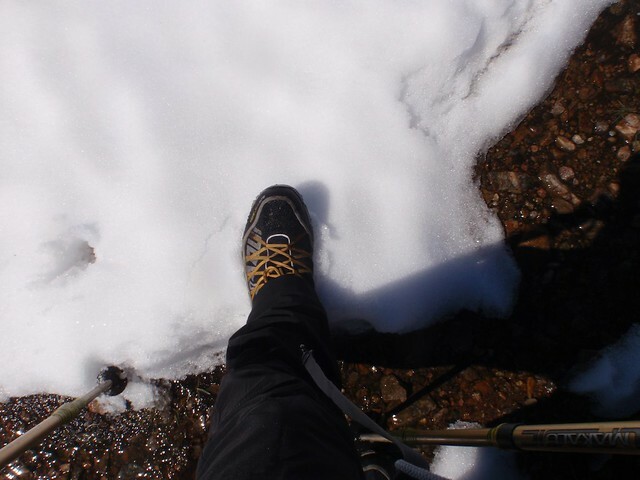 Another drop and then snow postholing grunt saw us at the summit of Tom Buidhe. 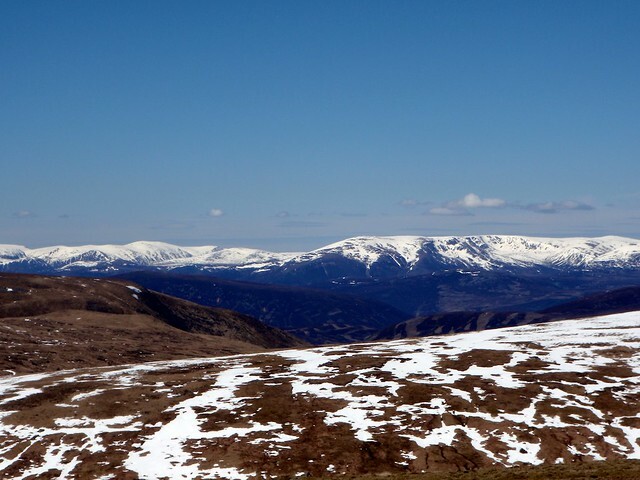 From Tom Buidhe, we then took an almost easterly route back down to the river to rejoin Jocks Road near the howff. The ground was saturated and a complete bogfest, with a paddle through the burn to reach the north bank of the burn, which we followed almost all the way to the howff. There was a faint path in places. 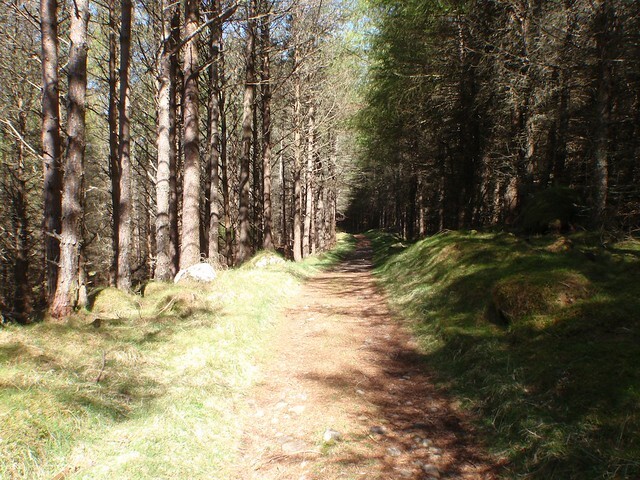 We rejoined Jocks Road and had a leisurely stroll back down the glen in great warm weather. Oooo! I'm getting excited now! 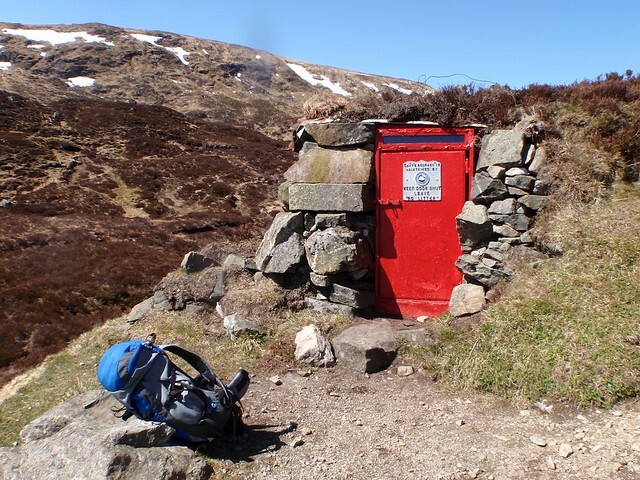 I'm going to Glen Doll next weekend for a navigation course. Really looking forward to getting into those hills now that I've seen this report. 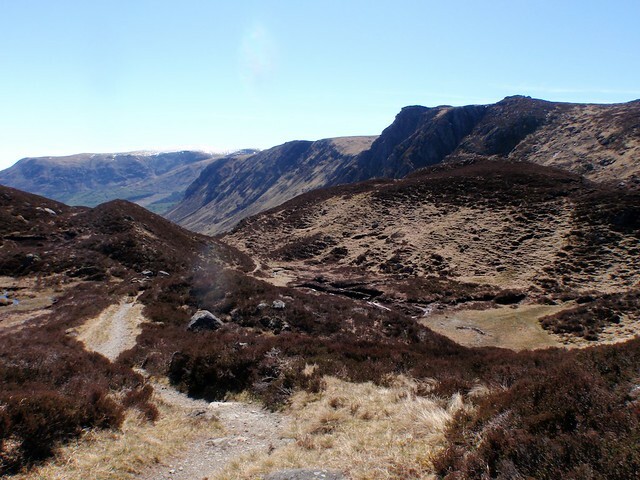 It is a very nice route, particularly the section up to the top of the corrie. Much like a mini Himalayan pass! However, like I said it gets a bit lost after the howff. The junction shown on the OS map, where a track is meant to head to Bachnagairn is, as far as I can tell, pretty non existent. 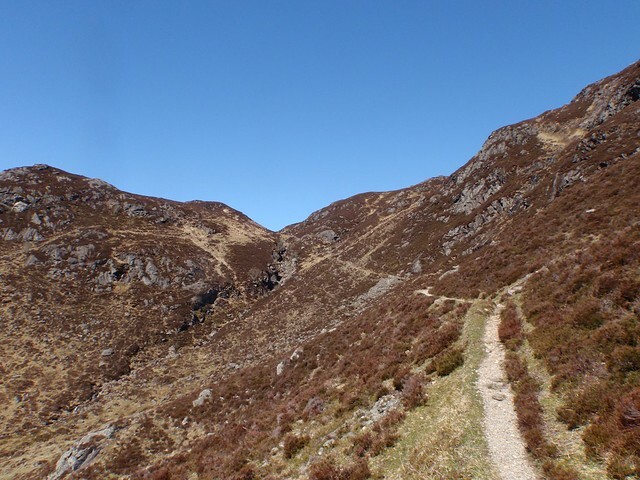 When I walked it over to Callater, I couldn't find it at all from the drop into Glen Callater all the way to the Stables. That might have changed in recent years, but lack of use has allowed it to disappear in a good few places. An enjoyable read. Looks like a great place to take your time, and stroll about in- with some fine terrain for Molly to root about in as well.